I know many of you have a Keurig machine and those K-cups really add up! Head on over to print the new coupon for $1.00 off ONE Green Mountain Coffee K-Cup packs! Print the coupon now. It is valid from 5/2 – 5/12 but they may shut off the printing very soon! https://savvywifehappylife.com/wp-content/uploads/2016/09/SavvyWifeHappyLife-logo-2.png 0 0 Brandi https://savvywifehappylife.com/wp-content/uploads/2016/09/SavvyWifeHappyLife-logo-2.png Brandi2013-04-30 13:41:512013-04-30 13:41:51Famous Footwear: New 15% off Entire Purchase Coupon! Click the banner above to sign up and receive via email a printable coupon for a FREE Bagel and Cream Cheese from Bruegger’s Bagels. Yummy! New $1/1 Breathe Right Coupon = Money Maker at Walgreen’s! Final Cost = FREE + a $1 moneymaker! https://savvywifehappylife.com/wp-content/uploads/2016/09/SavvyWifeHappyLife-logo-2.png 0 0 Brandi https://savvywifehappylife.com/wp-content/uploads/2016/09/SavvyWifeHappyLife-logo-2.png Brandi2013-04-30 12:59:302013-04-30 12:59:30New $1/1 Breathe Right Coupon = Money Maker at Walgreen's! This new coupon popped up to print for $0.75 off any Crisco Product! If your grocery store doubles, that’s $1.50 off and that’s a great deal. Amazon: Lodge Enameled Cast Iron Dutch Oven just $43 Shipped (Reg. $118)! Amazon has the Lodge Color EC6D43 Enameled Cast Iron Dutch Oven, Island Spice Red, 6-Quart marked down to just $43 (reg. $118)! Shipping is FREE. If you’ve been looking for a dutch oven, now is your chance! I just used mine (exact same one) for soup for dinner tonight. It has great reviews and I am sure you will love it. My Value Village sells all their dutch ovens for $29.99 and up, so this is a great deal for a new one! I saw a yellow one at Value Village for $40 just last week. https://i1.wp.com/savvywifehappylife.com/wp-content/uploads/2013/04/lodge-red.png?fit=330%2C240&ssl=1 240 330 Brandi https://savvywifehappylife.com/wp-content/uploads/2016/09/SavvyWifeHappyLife-logo-2.png Brandi2013-04-29 21:11:202013-04-29 21:12:45Amazon: Lodge Enameled Cast Iron Dutch Oven just $43 Shipped (Reg. $118)! 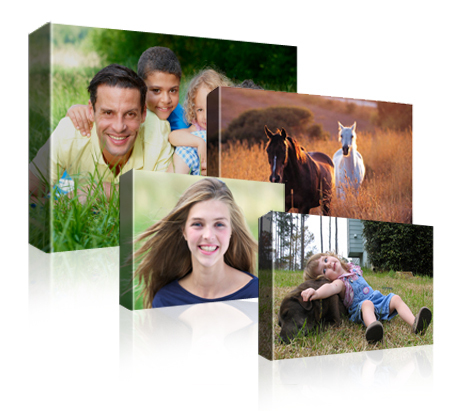 Canvas People: FREE 8×10 Canvas or $50 off any size! Here’s the new canvas offer in time for Mother’s Day! Canvas People has a new offer for us! You can get a FREE 8×10 canvas OR $50 off any size canvas. These make awesome gifts and Canvas People offers high quality prints. Order soon for Mother’s Day delivery. https://savvywifehappylife.com/wp-content/uploads/2016/09/SavvyWifeHappyLife-logo-2.png 0 0 Brandi https://savvywifehappylife.com/wp-content/uploads/2016/09/SavvyWifeHappyLife-logo-2.png Brandi2013-04-29 20:27:522013-04-29 20:27:52Canvas People: FREE 8x10 Canvas or $50 off any size! Amazon Local: 50% off 1-800-Flowers Voucher (Shipping Included)! Do you need to send someone flowers? Mother’s Day is right around the corner! Head on over to Amazon Local where you can snag a $30 1-800-Flowers voucher for just $15! You can also get a $40 voucher for $20. That’s half off the cost of flowers AND the voucher CAN be applied towards shipping charges. There’s a limited quantity available so don’t delay! https://i2.wp.com/savvywifehappylife.com/wp-content/uploads/2013/04/amazonlocal-floweres.png?fit=281%2C398&ssl=1 398 281 Brandi https://savvywifehappylife.com/wp-content/uploads/2016/09/SavvyWifeHappyLife-logo-2.png Brandi2013-04-29 12:10:592013-04-29 12:10:59Amazon Local: 50% off 1-800-Flowers Voucher (Shipping Included)!